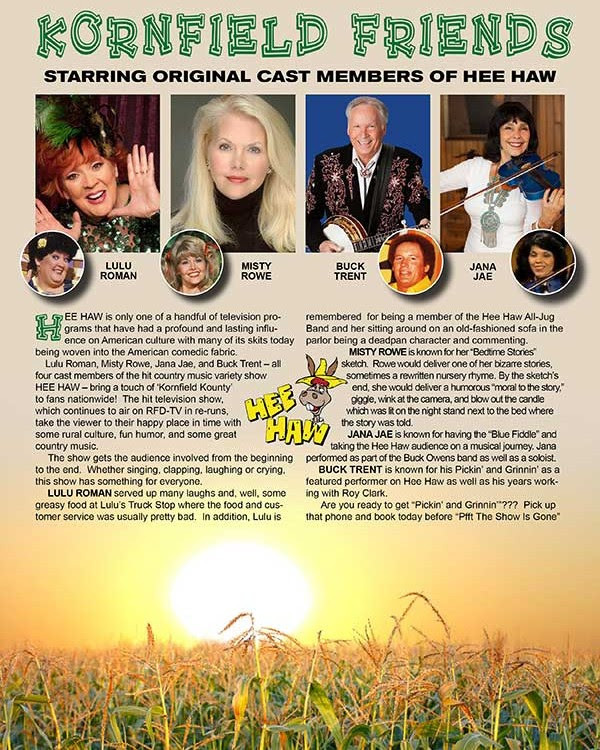 Hee Haw’s Kornfield Friends set to appear and perform on February 2nd and 3rd. - Newhillbilly website. 100% American Roots Music. The four-some plan to put Gov. Huckabee in the middle of the ‘kornfield’ just as the famed show did throughout the past 50 years. And, if you think the fun stops there…well, guess again, as the cast will take you on a music extravaganza that for sure will bring you to your feet. Tune in Saturday, February 2nd at 8/7c and again on Sunday at the same time. You can find your local TBN channel here or stream the broadcast live here. Lulu Roman served up many laughs and, well, some greasy food at Lulu’s Truck Stop where the food and customer service was usually pretty bad. In addition, Lulu is remembered for being a member of the Hee Haw All-Jug Band and her sitting around on an old-fashioned sofa in the parlor being a deadpan character and commenting. Misty Rowe is known for her “Bedtime Stories” sketch. Rowe would deliver one of her bizarre stories, sometimes a rewritten nursery rhyme. By the sketch’s end, she would deliver a humorous “moral to the story,” giggle, wink at the camera, and blow out the candle which was lit on the nightstand next to the bed where the story was told. 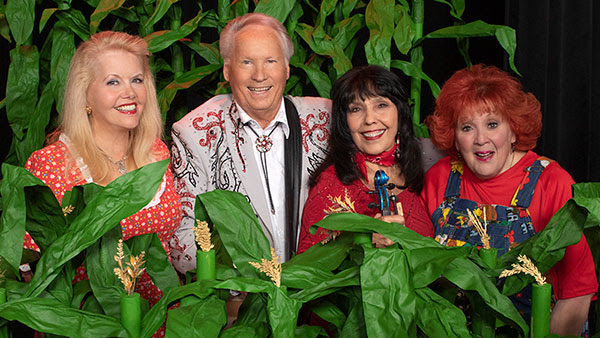 Jana Jae, known for her virtuosity on the 'Magic Blue Fiddle,' is planning on taking the Hee Haw audience on a musical journey where she performed on the historic television program either as part of the Buck Owens band or as a soloist. Buck Trent is known for his pickin’ and grinnin’ as a featured performer on Hee Haw as well as his years working with Roy Clark.